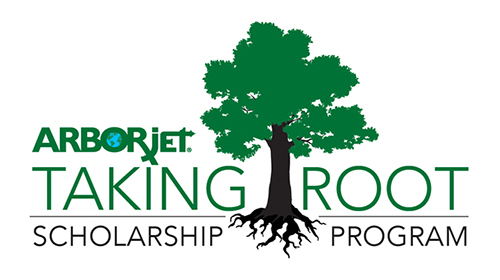 Arborjet is seeking applicants for its 2018 “Taking Root” college scholarship program. For the fifth consecutive year, the scholarship program will award 10 U.S. graduating high school seniors each with a $1,000 scholarship. Applicants must be planning to pursue full-time studies in forestry, plant sciences, horticulture, entomology, environmental science or a related major at an accredited two- or four-year college. The application deadline is June 30. For more information and to read about past winners, please visit the scholarship page.